Mountain Zebra differs from the Plains Zebra in size (it’s smaller but has relatively longer legs), presence of dewlap, stripe pattern (including full white belly), and behavior: Mountain zebra doesn’t form large herds like plains zebra, and sticks to small harems and bachelor groups. Two subspecies are recognized. Cape Mountain Zebra has white stripes that are typically more narrow than its dark stripes, resulting in overall darker appearance. Unlike other species of Cape Mountain Zebra mares are bigger than stallions. They inhabit bare hills and sparsely wooded uplands of the Eastern Cape province in South Africa. Hartmann's Zebra has the lighter stripes that are more duff in color than pure white, and so the zebra sometimes looks ‘golden’. Hartmann’s Zebra is found in Namibia and on some hunting operations in South Africa. The trophy fees for a Hartmann’s Zebra in Namibia start at about $900, although one can find a cull hunt opportunity for as low as $650. In South Africa the shooting fees are in the $1,500-$2,000 range, sometimes more. Cape Mountain Zebra is one of the most exclusive kinds of zebra. Found only on a limited number of preserves, the shooting fee for one may be as high as $2,500-$5,000. Add to this the daily rates, and perhaps the price of a few other trophies (few hunters go to Africa to hunt just one species). Africa provides endless opportunities for all kinds of hunting. How would you feel about trekking the Namibian mountains on foot for a few days, sleeping in the tent you carry in your backpack? Here’s a description of one such hunt, with one of the trophies being Hartmann’s Zebra. When to hunt Mountain Zebra? Hunting in South Africa is open all year round, although in most areas December to January are a bit too hot for most hunters. In Namibia the hunting season runs from February to November. Most people prefer the southern hemisphere winter months (late May to October) for plains game hunts, and specifically for zebra try to focus on the end of the dry season. Spot-and-stalk is the preferred method of hunting for African plains game species in general. These animals live in small groups, which can be reproducing (with one stallion and a number of mares and offspring) or bachelor. While mares are usually bigger than stallions in Cape Mountain Zebra, from the environmental and fair-chase perspective it is probably better to target a bachelor group. The animals are always on the alert, and if one senses something wrong, it immediately gives the alarm call and all group takes flight as one animal. Bowhunters may choose to wait for the animal in a ground or elevated blind over a waterhole. Both subspecies depend on hunting operations for their well-being. Cape Mountain Zebra is listed as Vulnerable, with the free-ranging population in the Zebra Mountain National Park very small and not sufficiently genetically diverse. Herds kept on game farms are essential for the species’ survival, both in terms of numbers and supporting genetic diversity by selective breeding. A study in the early 2000s indicated that the densities of Hartmann’s Zebra in Namibia were higher, and the numbers increased faster, in areas where there were opportunities for trophy hunters and other sustainable use, as local residents viewed Zebras not as competitors with their cattle, but as valuable resource. Something to ponder as you look at the striking striped skin of a Zebra. South Africa’s Eastern Cape offers the great advantage of Malaria-free hunting, and in addition the abundant variety of over 40 species of plains game, including eland, black wildebeest, blue wildebeest, blesbok, bontebok, springbuck, bushbuck, bushpig, caracal, common reedbuck and many more. We recommend a safari of 7 to 14 days, depending on which animals you are wanting to pursue. 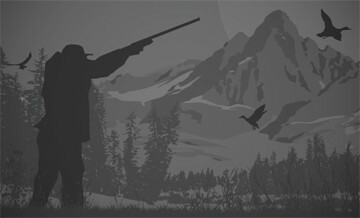 With a Big Five (dangerous game) hunt, a longer stay of 14 days is advisable. It is recommended that you contact PC Safaris and explain to us your vision for your hunt, and we will make the various options available to you for us to tailor a package to suit your needs. We know and love Africa and we look forward to the opportunity to share it with you. Yellow blesbuck, Crocodile, Red duiker, Genet, Leopard, Lion, White rhino price over request. Please choose the desired species from the trophy list and select between 7 to 14 days for your safari. Daily rates are charged per hunting day, and not per night in camp. The daily rate is based on 1 hunter 1 PH basis. We offer a wide variety of hunting opportunities throughout the Country with The Eastern Cape and KwaZulu Natal Provinces being our most popular with a full variety of Plains Game species as well as Buffalo for those who favour the excitement of a Big Game Hunt.